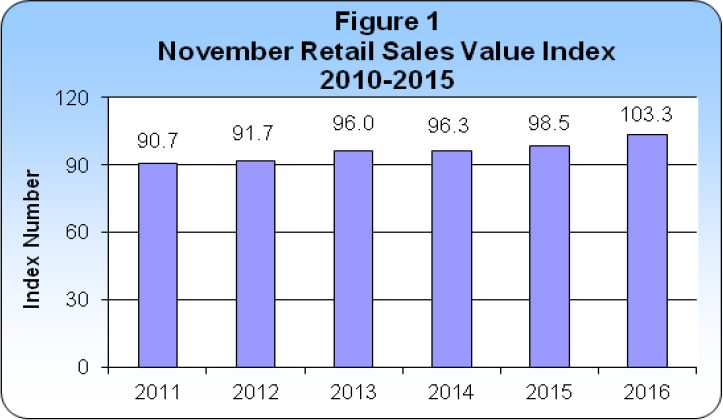 Retail sales in November 2016 increased 4.9% above the $91.9 million recorded in November 2015 — and when adjusting for the annual retail sales rate of inflation, measured at 0.9% in November — the volume of retail sales increased 4.0%, according to the recently released Retail Sales Index. “All sectors experienced increases in sales revenue with the exception of apparel stores which declined marginally by 0.7%. In contrast, building material stores registered the largest rise in sales receipts of 20.9%, the report said. “Returning residents declared overseas purchases valued at $6.2 million, a decline of 4.8% when compared to November 2015. This contributed to a combined local and overseas spending of $102.6 million. Excellent news. Yet more evidence that the tanker that is Bermuda has been hauled off the rocks, turned around and is now heading in the right direction. Long may it continue.